A healthy workforce can positively impact your bottom line. The EA’s Wellness team are experts on healthy living, and are happy to share their expertise with you and your employees. Welcome to EA Wellness! Your health and wellbeing are important to us! EA Wellness is here to offer a suite of personalized wellness initiatives that can help your culture grow, flourish, and thrive in better health. We take a collaborative approach to achieve lasting results that impact not only your health care costs, but also the overall experience and environment through which your employees can get healthier together. Gain cost savings right from the start. EA members who are insured through our partnership with Medical Mutual can reap significant financial benefits by encouraging employees to make healthy lifestyle choices, thereby lowering medical claim costs. Team up with an EA Wellness Consultant who will be your personal guide throughout your wellness journey. With a wide array of wellness programs and services, and in-depth knowledge of the wellness industry, our consultants can bring to you just the right tool you need to complement your existing wellness program, or get one started. Ranging from Initial Wellness Committee Consultation, Wellness Challenge Implementation, On-Site Smoking Cessation, On-Site Weight Loss Programs, or On-Site Educational Sessions there is a wide variety of wellness consulting options to choose from to meet your needs! Connect with your EA Wellness Consultant and begin the journey to a healthier, more well-balanced lifestyle. Over time, as your employees begin making positive changes, it can pay big dividends to your organization in terms of lower health care premiums, reduced absenteeism, and more fully engaged employees. From health checks to comprehensive aggregate reporting and a variety of wellness tools and educational topics, the EA team will be with you every step of the way. Ready to get started? An employee came to me to say how thankful she was for all we were doing to help her improve her health. Just before her involvement in the programs she had been told by her physician that she was overweight, borderline diabetic and needed medication to manage her high cholesterol. Since then her blood sugar and cholesterol are consistently in normal range. The White Family Dealerships have been partnered with EA Wellness for about two years. We believe the EA has been a great asset to our wellness program! Over the last two years, the EA team has helped to revamp our wellness program by creating structure and organization. The EA team has sought out creative ways to educate our employees regarding their overall well being. In return, we have increased program participation! Perrysburg Schools has been using The Employers’ Association Wellness services for multiple years, and we couldn’t be happier. The EA Wellness team is great to work with and make running a wellness program very easy. We have significantly increased our participation in our wellness screenings since engaging with EA, which is helping to keep our health care premiums from rising. I highly recommend them!! 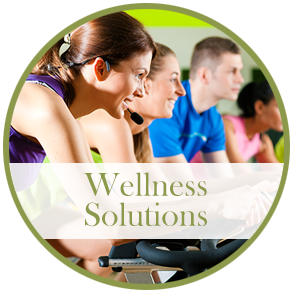 Custom wellness solutions delivered when – and where – you need them. From special member pricing on the annual Wellness Conference, to custom-tailored training and consulting solutions delivered at your facilities, to a suite of personalized wellness initiatives, and comprehensive wellness programs, the EA Wellness team is here to offer our services and stands ready to meet your needs.